Specialty H-Style Rubber Bands for Aid in Book Repair. Eliminate Weighing Down Books After Applying Repair Glue. 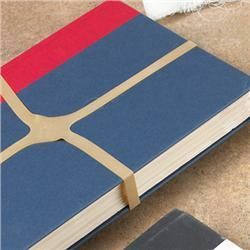 Wrap One or Two Bands Around the Book to Create Even Pressure on the Spine.